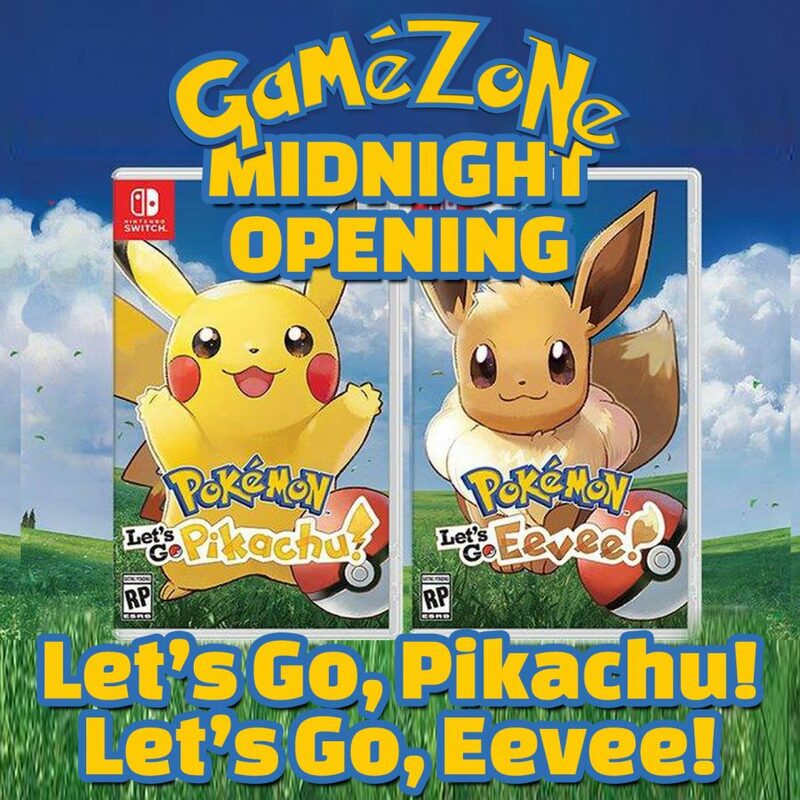 We’ll be opening tonight at midnight so you can get your hands on Pokémon’s Let’s Go, Pikachu! and / or Let’s Go, Eevee! for the Nintendo Switch.